Sharad Malhotra's height is 5ft 8 in (i.e.173 cm approx.) and his weight is 65 Kg (i.e.143 Pounds approx.) He has black color hair and black color eyes. Sharad Malhotra was born on 9 January 1983 in Mumbai, Maharashtra, India. He is 34+ years old as of June 2018. Sharad Malhotra is unmarried. No other information about his family is available. Sharad Malhotra has completed Bachelor of Commerce from St. Xavier’s College, Kolkata. Sharad Malhotra made his on-screen debut with Zee TV Serial ‘India’s Best Cinestars Ki Khoj’ (2004). 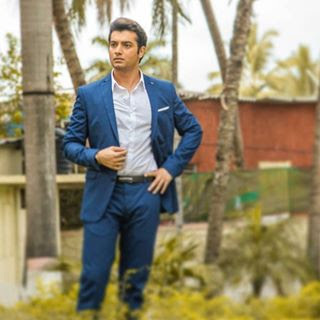 Sharad Malhotra became famous for TV Serial Banoo Main Teri Dulhann (2006-09) and has received Indian Telly Awards, Zee Gold Awards and a Kalakar Awards for Best Actor.